FOOTBALL: Gary Rowett is favourite to take over at Hull City after the English Premier League club sacked Mike Phelan with the team two points adrift at the bottom of the ladder. 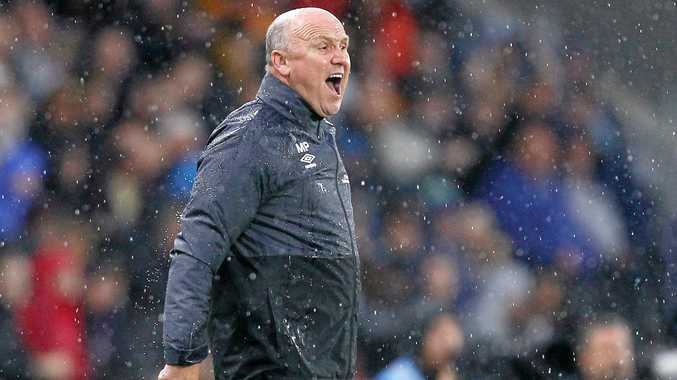 Phelan was handed permanent control of the Tigers in October last year after initially being in charge on a caretaker basis following the resignation of Steve Bruce. But a run of nine games without a win piled the pressure on Phelan and the club acted yesterday. "The club can announce this evening that it has parted company with head coach Mike Phelan,” said a statement on the Hull website. Phelan has become third Premier League manager to be axed in just under a fortnight, after Crystal Palace gave Alan Pardew the boot and Bob Bradley lost his job at Swansea City at the end of last year. Rowett, who was sacked by Birmingham City late last year, was an early favourite with British bookmakers to replace Phelan.